Imagine doing today’s Rowing WOD on the Water? Today’s Rowing WOD is a good opportunity to focus on one or two form fixes but get after it as well. Set the monitor for Intervals Variable and enter the work/rest accordingly. This WOD will give you an idea of where you might need to focus your training in the coming months. At the end of today you’ll have three benchmark rowing times that can be used to game other Rowing WODs. These three times will also come in handy if you’re trying out for the Renegade Rowing Team on July 17th! Sign up for tryouts here and input your scores from today! Come up with a plan and execute. You want to have mental cues on form, breathing, and effort to fall back on the second your mind starts to wander. If possible grab a friend and take turns coxing each other through each piece. Be consistent with your splits and stroke ratings through each piece. The stroke rating for this workout should be around a 28-32, but everyone needs to find what works. Find your efficient stroke. Novices should focus on one form fix for each piece and work hard for consistency. 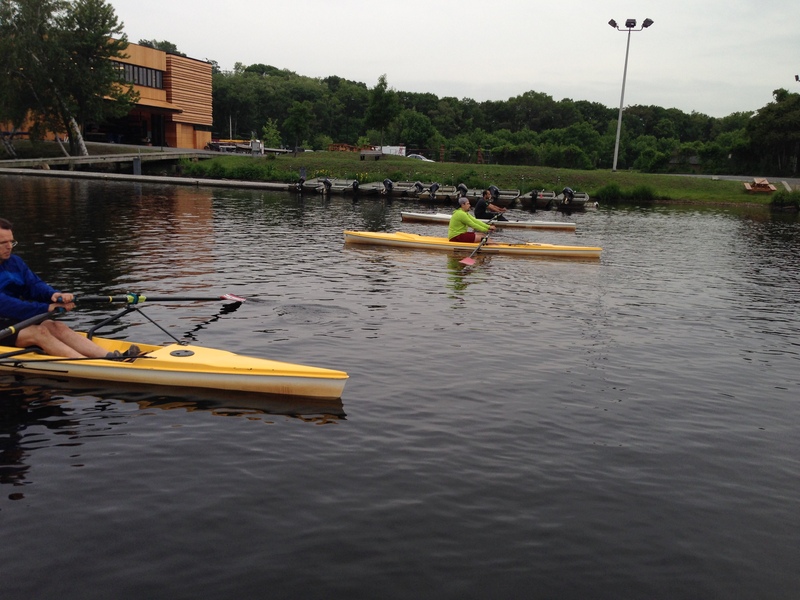 This entry was posted in Rowing and tagged endurance sports, exercise, functional movements, new sport, row 2k, rowing, sports, training by Renegade Rowing. Bookmark the permalink.